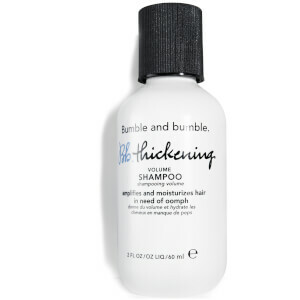 Designed to give your hair instant texture and definition, Bumble and bumble's Thickening Spray gives hair a fuller look and feel. Infused with Hydrolysed Wheat Protein, the weightless formula moisturises and protects hair, whilst delivering ultimate body and bounce with moderate hold. 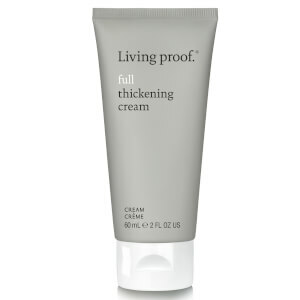 Fine, flat hair is left voluminous and conditioned without extra weight or stiffness. Spray on damp hair evenly by sections; work through and style. Water (Aqua), Alcohol Denat., Isopropyl Alcohol, Pvp/Va Copolymer, Polyquaternium-11, Hydrolyzed Wheat Protein, Hydroxypropyltrimonium Honey, Ppg-12-Peg-65 Lanolin Oil, Quaternium-26, Hydroxyethyl Cetyldimonium Phosphate, Polysorbate 80, Fragrance (Parfum). Did dry my hair a little, it's not for hair care just for styling. 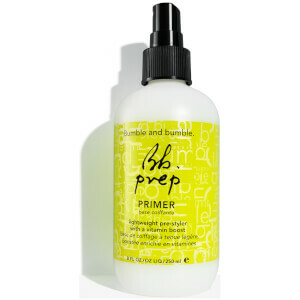 Works as a hair spray holds hair very well but dries the ends and hair feels like plastic.